Wild Young Hearts new album "HOODLUMS" available now. are definitely a breath of fresh air. Listening to this album kind of took me back to a time when life seemed so free. This music is inspiring, fun, and very time catching. The first song on this project can relate to anybody that has been going through a hard time and feel like the world is against them. Sometimes in life it feels like the Devil is your oldest friend. I have been in situations before and doing wrong was the only way for me to survive, so this is a theme song for anybody that is going through hell just to make it. The second song entitled ''Sad Songs'' was also an interesting one. I'm pretty sure many people have been through relationship problems that led to divorce or separation. I think this is the type of music that high school students would have on their play list when they are in a rebel mind set. Many artists and bands do not know how to capture the life style of the listener and I can say this band is definitely one that can. Another favorite I have on this project is the CD Entitled song ''Hoodlums''. It reminds me of music you would hear on a Tony Hawks pro skater video game. I'm not a big rock n roll fan but I surely enjoyed playing this album. The instruments are perfectly blended. The lead vocalist has a great voice and sings his lyrics matching the tone and mood of the music. This is something that many vocalists strive to master and I really believe this band is going to be legendary if they continue to write and record with such precision. If I had to rate this album on a scale of 1-10 I would give this album a 10 for composition, delivery, subject matter and instrumentation. I'm really looking forward to hearing more from this band and wish them well in their journey. Robert Hunter is an American singer/songwriter and poet, who first gained critical acclaim following the release of his debut EP ‘Outta My Mind’, which was produced and recorded in Nashville TN. Two songs from that album (365 and Outta My Mind) achieved significant terrestrial radio airplay, which paved the way for ‘Afterglow,’ Roberts second studio album working with Nashville producer Dave Bechtel in the span of less than a year. For those who haven’t heard of Robert, or are perhaps more familiar with “the other Robert Hunter” - that’s because, like the beloved Grateful Dead lyricist, Robert is a self-described recluse, having written more than a hundred radio friendly gems over the past two decades, without seeking any recognition for his talents. That all changed when Robert was approached by Zing Productions, and asked to perform an all original acoustic set, supporting their non-profit music education programs benefitting underprivileged children. That ‘one time’ show led to many more, including stages from Las Vegas to Unity College in Maine – all of which benefitted charities and non-profit organizations, including Zing. 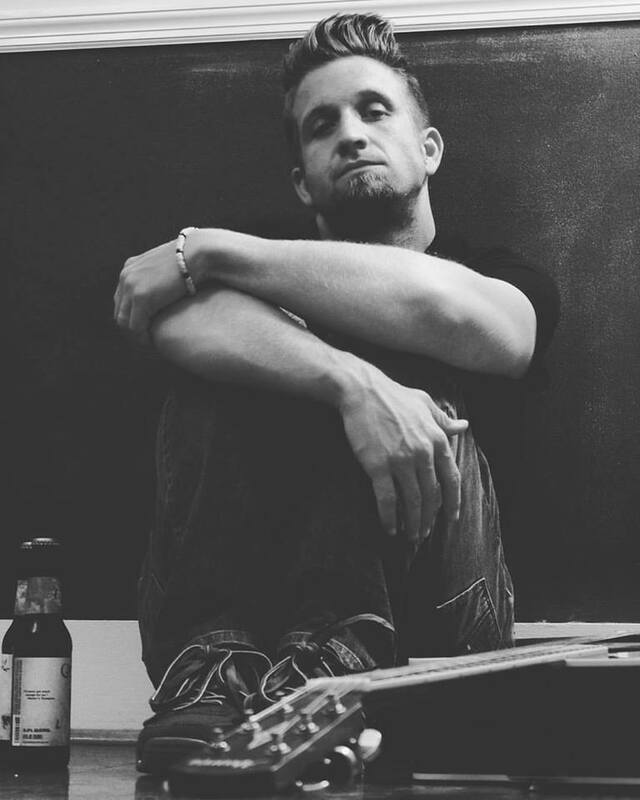 Robert continues to play select venues in support of his album releases, and causes, typically drawing a loyal group of fans wherever he goes, hoping to hear some of the crazy stories, and spontaneously inspired lyrical improvisations, for which he is becoming known. AFTERGLOW is the name of my new EP coming out February 24. This record means a lot to me. I lost my mind more than once writing it. This was always the excuse…one more line…one more song…one more trip to Tennessee – to quiet this need that follows me everywhere – to finish what I started, when I started writing songs such a long time ago. Oh yes, Afterglow. There is no better way to describe the feeling. Since finishing the record, I found out that the one person who believed in me the most, as the music thing was getting going, Becky; my best friend; my chaperone in Nashville; ‘Annie’ in all my songs, and the sweetest girl I know – has cancer. So I want you to know now: this means war. Becky is the driving force behind all my songs, and the person that I am. She’s my Afterglow. It’s all intertwined. And if sharing this with the world makes her happy, then that is what I’m going to do. She is bold, tenacious, faithful, caring, courageous and kind. And I am humbled to be in her service. And so now it’s war against cancer. And it’s war against the odds, apathy and despair – just as it’s always been. No I won’t care what the critics will have to say this time. Because we’re in this together, and that’s all that matters. The line is drawn, and we’re going to make it. And I know that if you’ll join, follow, share, send cards, or do anything you can, as I do my best, to give back all the strength she’s given, we’re going to win this one, for Becky. Send cards to 514 N. Chestnut St, Millville PA 17846. Buy Afterglow in stores, and online Feb 24. Presale begins Jan 6 on iTunes. 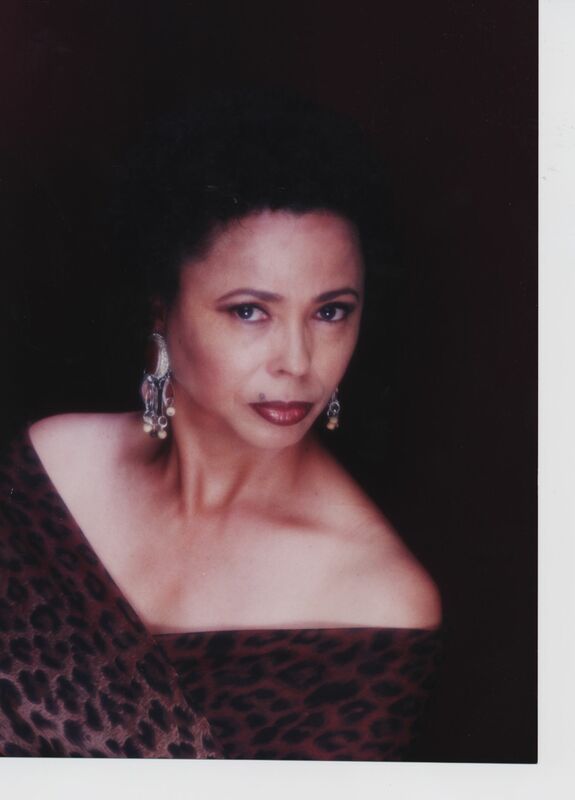 Ms Gregory hails from the Eastern Seaboard, having grown up in Washington, DC, and Atlantic City, New Jersey, during a fertile period of musical innovation in the Jazz, Rhythm & Blues and Blues fields. As such, she was surrounded and influenced by these rhythms, from a very early age. She specializes in the “Great American Songbook”, and her extensive repertoire of popular jazz standards bespeaks that upbringing. Her smooth and mellow timbre reflects an amalgam of influences that she attributes to the vocalists and instrumentalists who were the seminal innovators of jazzmusic, during its formative period. Some say her voice reminds them of warm honey. She considers some of her greatest influences to be Gloria Lynne, Dakota Staton, Billie Holiday, Jimmy Scott, Nat “King” Cole, Betty Carter, Sarah Vaughan, Ella Fitzgerald, Etta Jones, Carmen McRae, Dinah Washington, Johnny Mathis, Nancy Wilson, and Louis Jordan. Natural Delivery "A singer is really naked in a way that other musicians are not." Our writers tell you what's hot this week. The heel of Robin Gregory's golden slip-on shoe taps a steady 4/4 as she and pianist Bliss Rodriguez swing though "S'Wonderful." It serves as an anchor against which the vocalist subtly syncopates the Gershwin brothers' French-flavored standard. Swaying her arms while standing on the stage at Anna's in a tan Chinese-style tunic ensemble--a mop of casual curls framing her round, almond-hued countenance--Gregory draws the attentive listeners in the front rows of the tiny Berkeley bistro into the romance of her music. The chatter of diners in the back fails to break her concentration. "We're having an intimate conversation," the Oakland-based singer says about this gig with only her pianist. The bassist and drummer with whom she usually performs are absent. She and Rodriguez, a blind pianist with an elegant concept of harmony and an assured sense of time, make for a commanding duo during a set that includes such other old favorites as "Day by Day," "Our Love Is Here to Stay," and Duke Ellington's "Satin Doll," which Gregory dedicates to the memory of the recently deceased Ellington vocalist Al Hibbler. Two from the '60s --"Quiet Nights" and "Watch What Happens" --are among the most modern in the singer's extensive repertoire. Gregory's dusky, richly resonant contralto brings the late Betty Carter to mind, though some hear Anita O'Day in her singing. "I think of myself as a storytelling singer," she says. "I don't think of myself as someone who wants to manipulate the changes of the song and do a bunch of vocal acrobatics. I want to tell a story when I sing, and I want to convey emotion and touch people's emotions. These songs speak to me emotionally, and I feel authentic singing them. Artist CASTELLI has her hit single “LOVE is LOVE” on iTunes and Spotify. 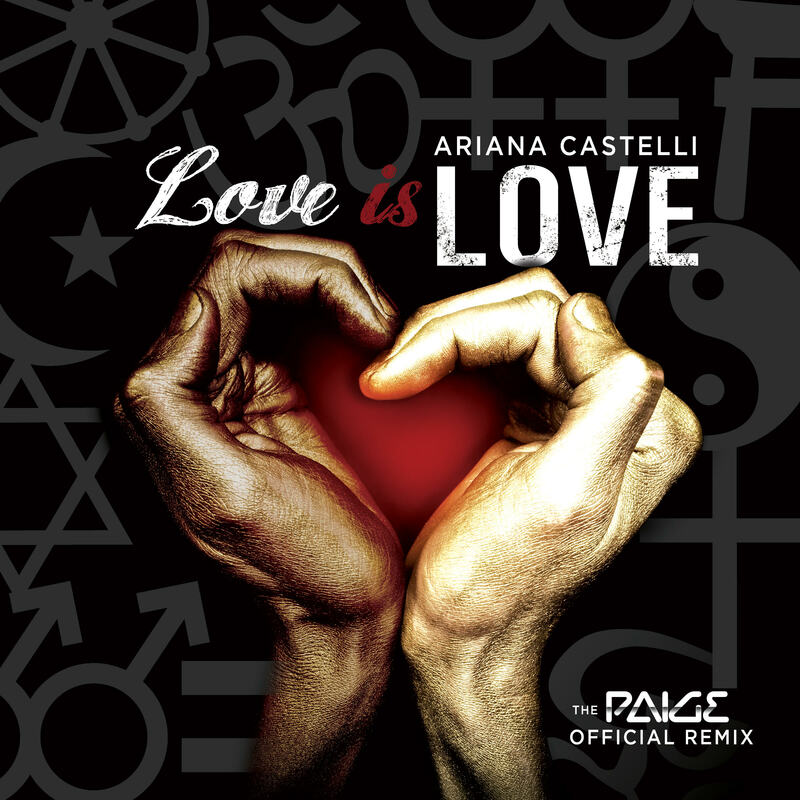 The melodic, energetic and emotionally empowering single was written by CASTELLI and remixed by DJ Paige. Inspired by CASTELLI's real-life struggles as a member of the LGBTQ community, the song re-imagines club music as an outlet for cultural diversification and liberation. Fierce, spirited and deeply motivated, CASTELLI is ready to lead a career that will change the lives of people, challenge the perspective of the music industry, and support the message of diversity and acceptance through the power of her heart-pounding compositions. Born in Brooklyn, New York within an eccentric Italian family, CASTELLI has grown up participating in all forms of art including singing, dancing and composing songs since she was six years old. 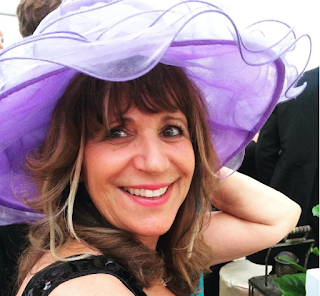 With the support of her family, CASTELLI built up a rounded background within the music industry including scoring the soundtrack for film and TV and producing and recording music at Cove Studios and Dream Factory. Nothing is more impactful to CASTELLI's music than her insight into discrimination within the music business. CASTELLI is a proud member of the LGBTQ community, and she grew up watching an industry which did not endorse gay or bisexual artists. Wanting to empower those who have ever felt deplored by generational stereotypes, CASTELLI took to writing beautiful, awe-inspiring tracks that incorporated the best of popular club music. Vibrant, catchy and lyrically heartening, CASTELLI is currently crafting music that's deeply inspirational and sensationally memorable. "Music is therapy," affirms CASTELLI, "and if I could help someone be stronger or move someone through my music then my mission is complete!" The Soul Exchange was founded in 2013 by guitarist Hans von Bell, drummer Benny White and guitarist Thomas von Bell. In 2014, the trio was joined by vocalist Erik Olofsson and Tobias Chevalier (vocals, keyboards etc). The band enjoyed success with their eponymous debut album “The Soul Exchange”, produced by the seasoned rock producer and studio engineer Mats “Limpan” Lindfors, released on January 20th, 2015. 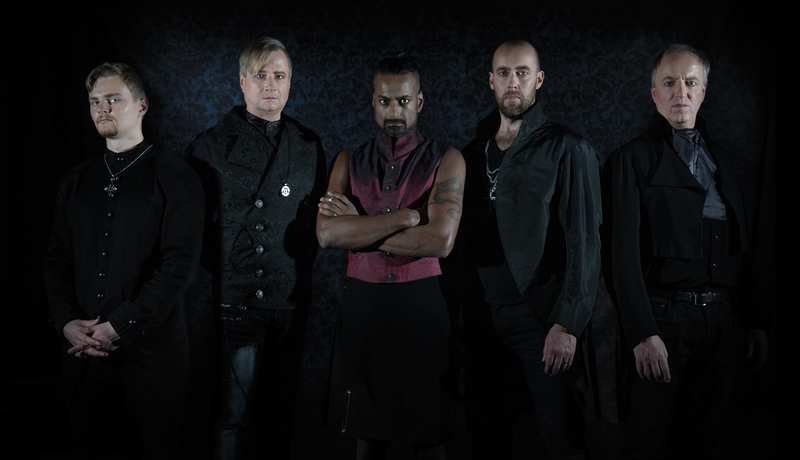 In 2016 the band underwent some personnel changes, with Daniel John joining founding members Hans & Thomas von Bell as new vocalist, and also bringing in Benny White on drums and Patrik “Patte” Ekelöf on bass, that makes up the present line up of The Soul Exchange. With the new line up, the band has moved into a new direction, both musically and image wise, with a different modern sound and stage image. The Soul Exchange will release their 2nd full length album, produced by the renowned Swedish producer Magnus “Tank” Ljungqvist, on the Mervilton Records label in the fall of 2016. The band promises this to be a much darker and modern sounding effort, than the debut. Stating that “this is a new era of The Soul Exchange” and that “the band has found its sound on the 2nd album and this will be the formula going forward. 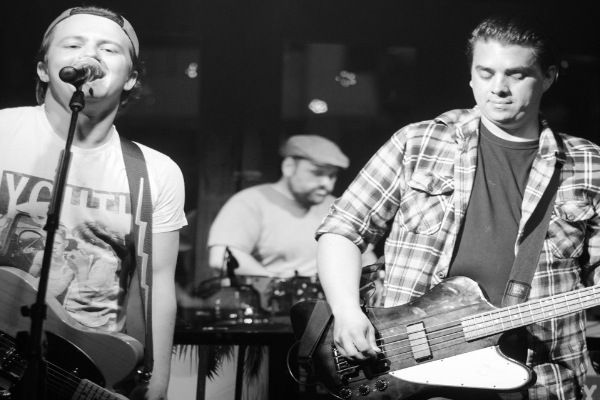 Modern hard rock with a great portion of metal influences, and most importantly, the vocal arrangements and melodies are having a major focus in The Soul Exchanges’ otherwise riff oriented music”. The phrase “It is the sound of a new world being born, and the louder sound of an old world being destroyed” has never been more relevant than for the new album by The Soul Exchange! 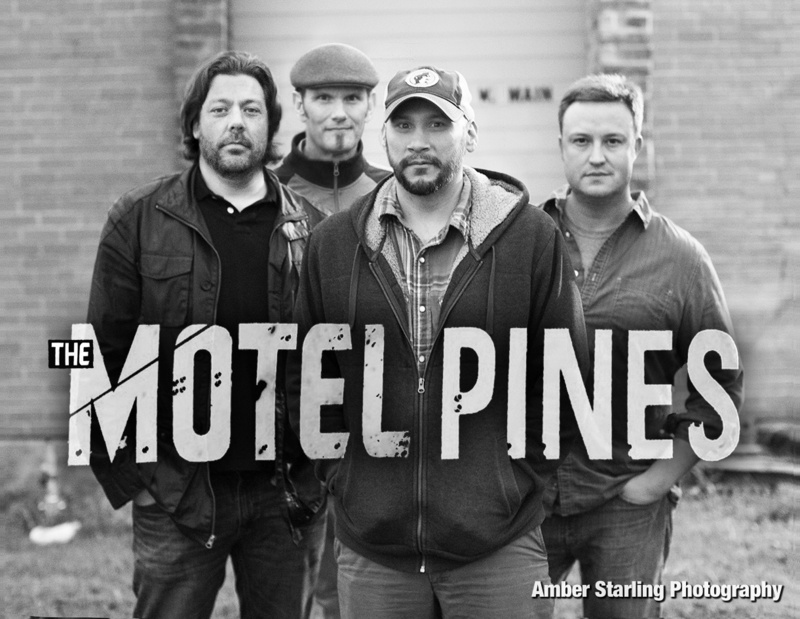 The Motel Pines is an original alternative/indie rock band based out of North Texas formed out of the longtime friendship and musical chemistry of former members of Saints and Sinners lead singer Michael Carrasco and drummer Mark Starling. With the addition of bassist John Rowland and lead guitarist Ben Gaither who both have backgrounds spanning a wide variety of everything from rock to bluegrass, all of the influences combine to create a sound that is familiar yet fresh and unique. Carrasco's songwriting is not the typical boy meets girl, but delves more into the deep waters of life. Carrasco says his interest leans more towards philosophy and science, and that's just what comes out. The name Motel Pines represents an older motel in an area where nice new businesses are springing up all around it. Not being phased by all the revitalization, it has stayed true to it's old school vibe. "This just seemed like a good metaphor for the band." says Starling. "We're probably way too old to be in a rock band, but here we are." jokes Rowland. You can feel some old school influence as the Motel Pine's music tends to come steeped with a heavy dose of 90s alt rock. Carrasco's powerful unique voice also shows influence from his early days fronting punk bands. Not really worried about influence or age, the Motel Pines just try to write music they enjoy, and hope you will too. 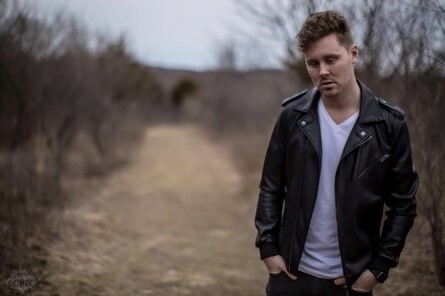 Conor Darvid is a 24-year-old singer/rapper/songwriter from NY, right outside of NYC. His passion for music has always burned deep inside him ever since he was a boy and became a member of the chorus at school. Into his teen years he became more interested in the artistic and creative sides of music, from being the lead singer in a band to writing his own music. But it wasn't until he was driving around in a car full of friends that he realized he could rap as well. Conor and his friends would use beats from the Internet and freestyle, until one day he realized that he was better than anyone in the car and was determined to find a way to fuse his two music passions together. Now today at age 24 Conor has been working on music strong for the past few years fusing hip hop and pop together to make catchy melodies and unique rap bars. The difference between Conor and other people that might be doing the same thing comes down to this, he's your next door neighbor, the kid you rode the bus with, the all American boy. Through his music and image, you feel like you can relate if not feel like you have already met him. 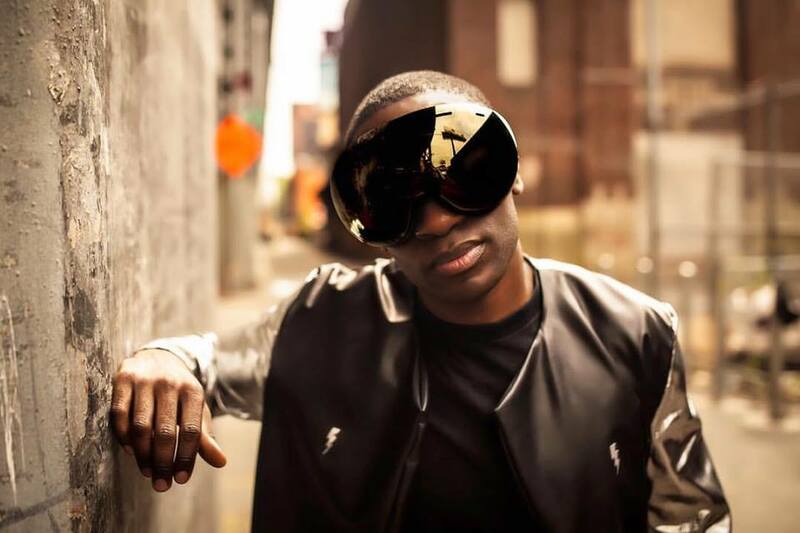 Anthony Mitchell better known by his stage name Ant Tha Giant(aka ATG), is a Hip-Hop/Rap artist, songwriter and actor from the Bronx, NY. Ant Tha Giant began writing music four years ago and instantly fell in love with the art. What started out as a hobby for him became a burning passion, which you can feel in every song he creates. 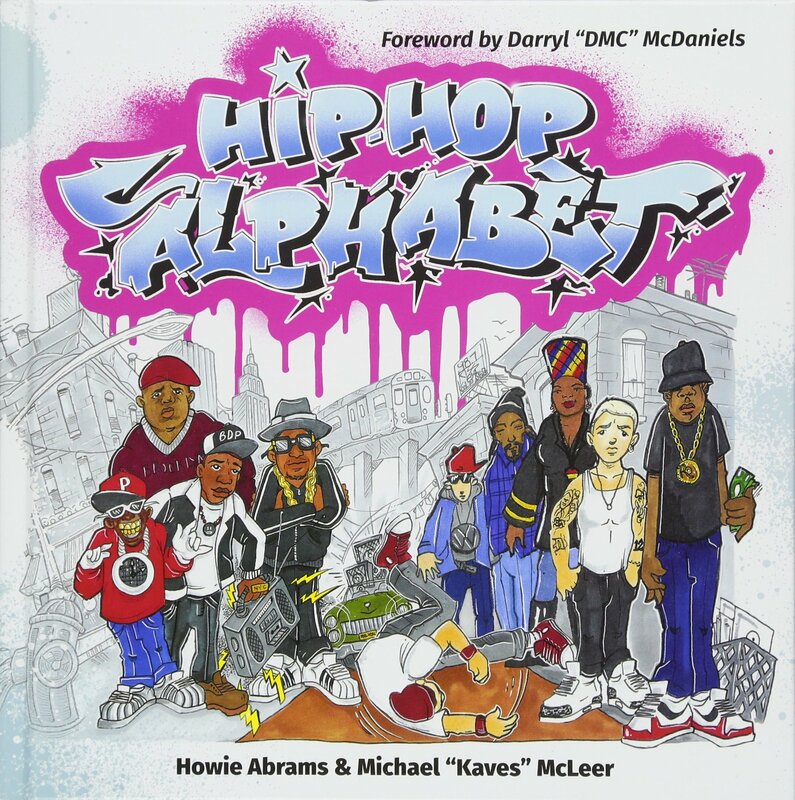 He brings a unique style of rap to the table with a heavy focus on lyricism, in depth story telling, witty wordplay and a crazy set of flows that leaves his listeners in awe. ATG aspires to independently build an international following and leave a huge unforgettable mark in the game. He will definitely be a force to be reckoned with in the Hip-Hop world so make sure you are on the look out for this upcoming talent!